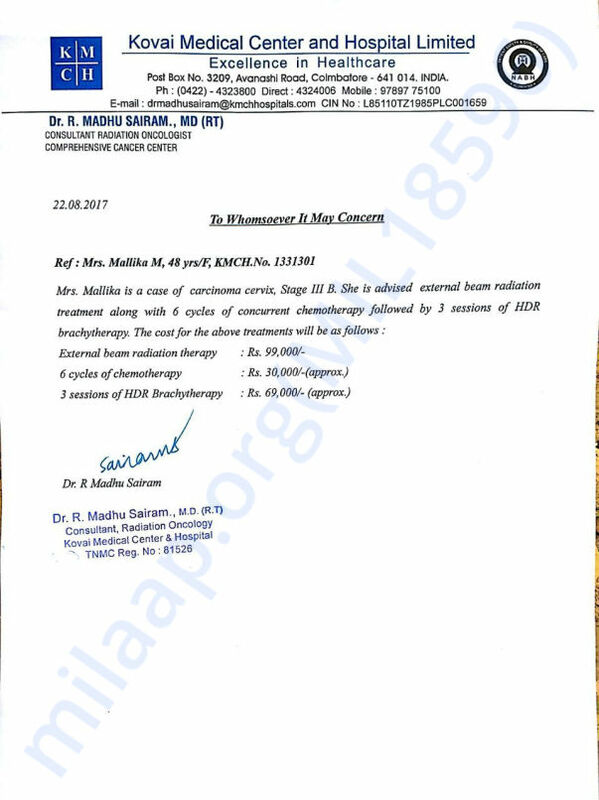 Mrs.Mallika (48/ female) has been recently diagnosed with cancer cervix - stage IIIB. 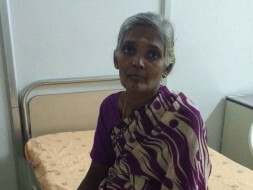 She is an unemployed widow who is survived by an adolescent son. The cost of Chemoradiation therapy for her treatment is beyond their financial capabilities. 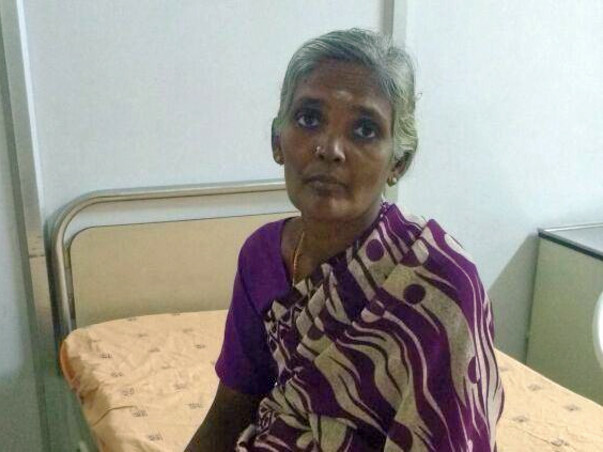 Hence I kindly request you to help her for her treatment. May Lord Jesus Heal !